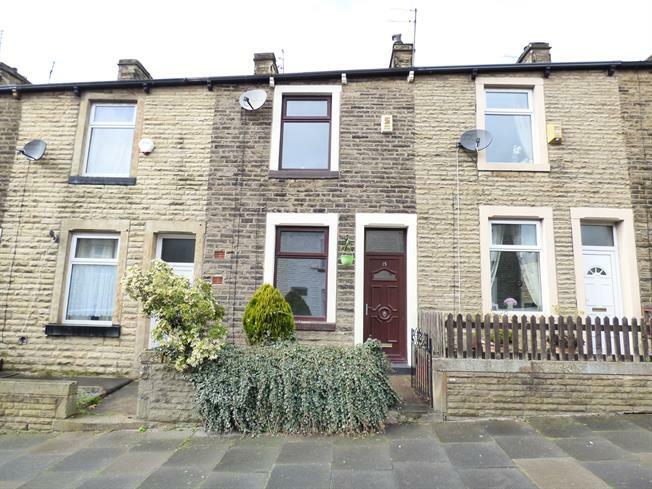 2 Bedroom Terraced House For Sale in Burnley for Asking Price £40,000. This stone built mid terrace offers an excellent first time buyer or investment opportunity! Comprising spacious lounge and modern dining kitchen on the ground floor, two bedrooms and bathroom on the first floor. There is a forecourt and rear enclosed yard. We have been advised this property is leasehold and runs for 999 years from 1891 at a ground rent of 1 per annum. Entrance is gained at the front of the property via a uPVC door leading into the lounge. Double glazed uPVC window facing the front. Radiator and electric fire set within a feature surround, laminate flooring, wall lights and ceiling light. Double glazed uPVC window facing the rear. Tiled flooring, under stair storage, ceiling light. Roll edge work surface, fitted wall and base units, stainless steel sink with mixer tap and drainer, integrated electric oven, integrated gas hob, space for washing machine and fridge/freezer. Stairs leading to the first floor and door out to the rear yard. Double glazed uPVC window with obscure glass facing the rear. Heated towel rail, built-in storage cupboard housing the boiler, tiled walls, spotlights. Low level WC, panelled bath with thermostatic shower over, pedestal sink.